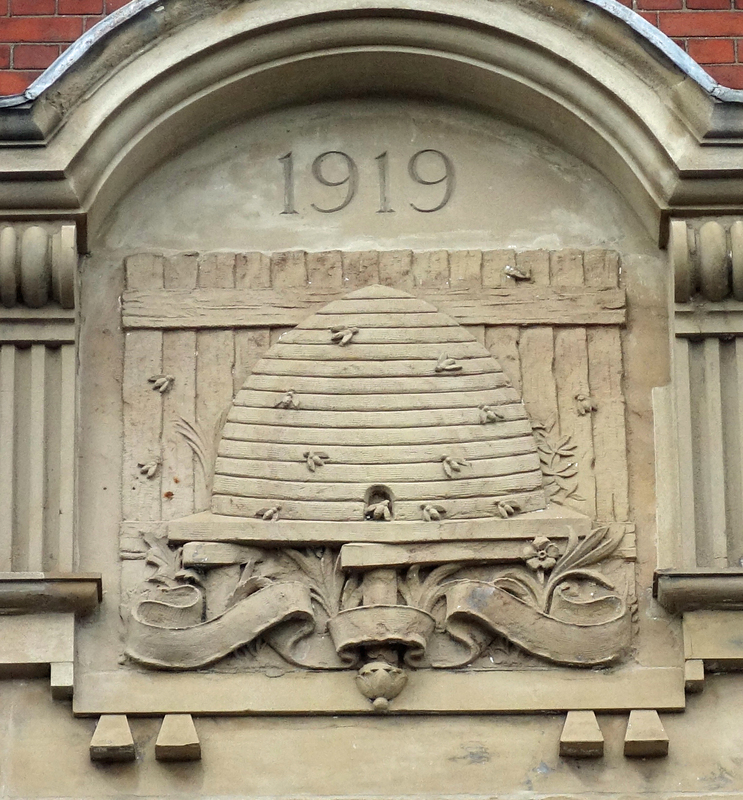 One of the many curious things about the relationship between the CWS and the (at one time) thousands of local co-operative societies relates to the CWS Architects’ Department. Local co-op societies could use it rather than the array of (normally) locally-based architects and the societies’ own building departments to provide plans for new stores and whatever else was required. But even though the CWS architects were available from the very late 19th century onward, by no means all local societies used them, much (one guesses from editorials in some of the CWS publications) to the annoyance of the central department. But look, for instance, at this photo of the Doncaster co-op emporium and offices, built 1938-40 right in the town centre and still in use (partly at least) as a shop today, although not as a co-op. The design, all curvy modernist streamlined lines, moderne even, was by the local architectural practice T H Johnson & Son. Why look further afield when you can get something this good locally? In addition, local architects, especially earlier in the 20th century, were often members of the local co-operative society themselves. 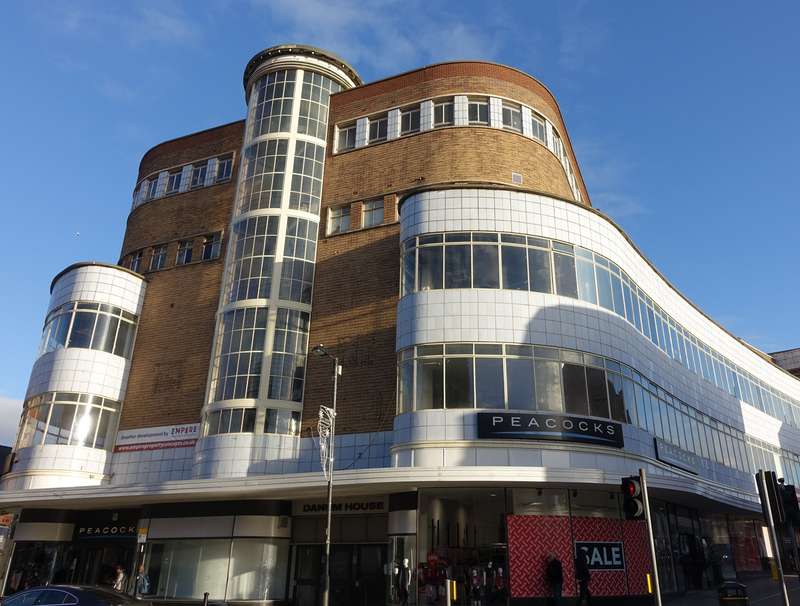 The Derby central emporium, designed by Sidney Bailey in 1938 but only completed after the war, is another good modernist example produced locally. The CWS architects did some great stuff too, but it is easy to see why a specific local society would want to keep up its long-term relationship with its ‘own’ (as they were often referred to) architect.